To the boys that read my blog, thank you. You are mainly my friends and are doing it to support me, and for that, I truly appreciate it. So, I promised some of the guys reading this that I would start doing menswear pieces. Note that I am not as well versed in menswear as I am in women's wear. I stalk clothes for myself on a daily basis, where I just see guys looking good on the street and take note. 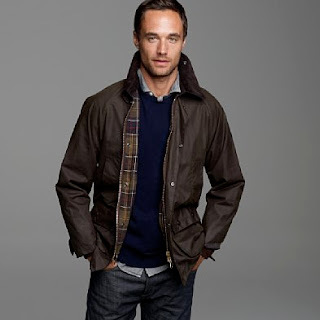 Moving forward, I decided my first topic for guys to be jackets, in particular, Barbour jackets. 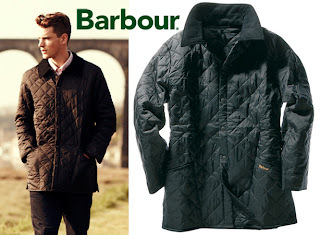 Barbour makes outerwear for both girls and guys, however there is something about it on a guy. Its preppy, while still being manly. Although the jackets are not cheap, they will last a life time. They will also get you a few good looks from girls on the streets. Can't hurt right? You can buy Barbour jackets here. What do you think of Barbour jackets on guys? If you have any menswear you would like me to post about let me know!